The role of a philosopher is to build the largest, most comprehensive and cohesive model of reality, with the fewest possible exceptions. This is the one discipline where size matters most. However, the wider and more meticulous one’s model becomes, the more disquieting it’s likely to appear, to some of its more insular contemporaries. Intellectual depth, by its very nature, tends to deviate from the relative shallowness and backward conventionalisms of its times. This occupational hazard must be discerned and embraced by any serious thinker today. 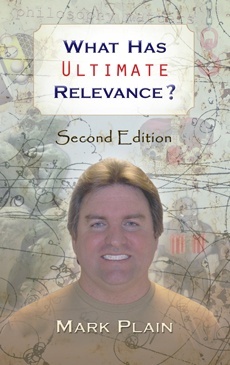 It was from this premise that I undertook to write the second edition of my book titled, What Has Ultimate Relevance? My treatise takes the reader on a journey towards certitude, but due to specific provision requirements, several detours became inescapable. The main diversion was finding a practical solution to the problem of terrorism and megalomania. After all, survival is a prerequisite to the success of any wider mission. Simply put, how will we keep the ever-advancing technologies of tomorrow from falling into the wrong hands? Can we acquire an effective preemptive strike capability against all forms of negative creativity? Is the mind a hopelessly unpredictable city of refuge? Unfortunately, many futurists have overlooked these ever-intensifying dilemmas. Read the Free Crown Point page for more details. My approach challenges many of the conformist views, which have dominated this discussion, including those from academia. I offer an alternative to relinquishment and doing nothing. My journey also provides new insights into the existence of a transcendent intelligence or God—including mindset, motives and methodologies. This involves expanding our imagination into what is possible and perhaps plausible. Bottom line, every day our technology expands in scope and stature, while we remain the same size. Therefore, it is only a matter of time before we reach a critical mass of vulnerability. Clearly, something must be done soon and who better to package a solution than a conscientious philosopher. For me, this work was more a consequence of personal conviction and common courtesy, than mere speculative discourse. I feel humanity should receive full disclosure on these issues of utmost importance.